Being in top physical form feels great, but after paralysis, that can seem like a distant dream. Quadriplegics of all levels have a tendency to become overweight as the years creep forward. From not walking to chronic pain, it can be difficult to stay in shape. 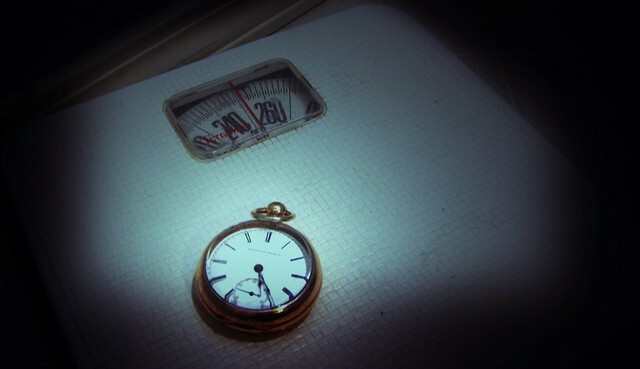 IMPORTANT: A person’s ideal weight should be determined by a licensed medical professional. The right amount and the right kinds fat are good for the body. Saturated fats for instance are required to strengthen cell walls. Additionally, fats keep a person’s skin healthy and reduce inflammation. Plant-based sources of fat are the healthiest, such as walnuts and almonds. Especially for quadriplegics, a layer of fatty tissue around bony areas can provide skin breakdown protection especially when muscles have atrophied in those areas. But there are many ways to beat the bulge. From diet modification and targeted exercises to minor plastic surgery, people with spinal cord injuries can lose unwanted fat and weight. Read on for some of our best tips! For quadriplegics, one of the easiest ways to lose weight is to lower caloric intake. Since you have limited muscle movement and aren’t walking as before, your recommended calorie intake is 28 calories per kilogram (kg). So to maintain a weight of 130 pounds, for example, you would first divide your weight in pounds by 2.2 (130/2.2 = 59.09 kg). Then to figure out the actual recommended calories you would by 28 cal per kilogram (59.09×28 = 1,654.52). A 130 pound quadriplegic should consume around 1654.52 calories per day. To lose weight, however, you would need to decrease your daily calorie intake by 500 calories. This will ensure you lose one pound each week. What is great about this method is that no exercise is required, making it a fantastic option for any high-level quads, as well as anyone who doesn’t have access to FES. IMPORTANT: These are general guidelines and do not account for differences in age, gender or activity levels. Adjustments are always required. If you are able to move your arms, there are several helpful fat-burning exercise videos for quadriplegics on Youtube that can help you lose unwanted pounds. A 20-minute workout four days a week can help you lose a pound a week. One of our favorite quadriplegic fitness instructors is Ben Clark, a former champion swimmer and C6 quadriplegic from Australia. He creates workout videos for quadriplegics. If you have Therabands, stretchy workout bands and hand weights (along with Active Hands for gripping), you’ll be able to do many of his workouts. Visit his channel, Adapt to Perform. Although costly at about $700 per procedure, Coolscultping is one of the newest ways many people with quadriplegia are getting rid of stubborn belly fat, aka “quad guts,” which many can’t seem to lose no matter how much they work out or diet. This is the only FDA-approved fat-freezing procedure, and it successfully minimizes fat cells. While the jury’s still out on how long the procedure lasts (doctors claim it lasts forever, but time will tell), it is great to see a cheaper option available other than a tummy tuck to get rid of the quad gut. Watch a success story from a man with quadriplegia, here. While it technically doesn’t help with weight loss, abdominal binders – used by many quadriplegics – hide stomach fat under clothes. Although abdominal binders are used primarily to maintain elevated blood pressures in quadriplegics, an attractive stomach profile is a nice side effect! And most insurance plans cover abdominal binders. Whatever is holding you back, know that you can lose weight as a quadriplegic. While the methods available are limited, they work. With some hard work and dedication, it can absolutely happen. We wish you success! IMPORTANT: It is important to closely monitor any type of compression clothing especially on bony areas like the ribs and spinal vertebra. Check every skin regularly for any changes in skin integrity. Have you tried losing weight since becoming a quad? What worked? This entry was posted in Feature stories and tagged coolsculpting, lose weight in wheelchair, quad gut, quadriplegic weight loss, sci health series, spinal cord injury diet on August 17, 2017 by Tiffiny. 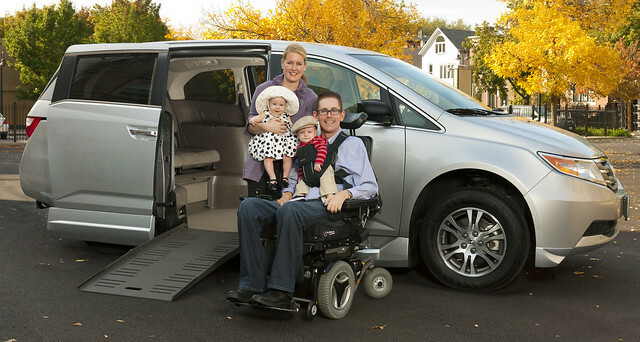 The United Spinal Association has partnered with the NMEDA (National Mobility Equipment Dealers Association) to award one of their members (from any of their chapters) a free accessible van or automotive mobility equipment. To participate, please complete and submit the attached questionnaire, along with recent picture of yourself, to len@crawfordgroup.tv and cheryl.parker@evokad.com by Friday, August 25, 2017. Once the questionnaires are reviewed, approximately six participants will be selected for possible inclusion in TV special based on ‘the emotional impact of their injury, disability or illness.’ The producers will conduct a phone or other electronic communication system interview & they may elect to visit some of the finalists to further assist in the section process. Two participants will be cast for the TV special and in return, they will receive a wheelchair accessible vehicle or automotive mobility equipment. Quite exciting! More details are provided in the questionnaire. Please click the green “Download File” icon below (then click on the gray “Download This File” button to download the questionnaire for the Mobility Makeover Wheelchair Accessible Van Giveaway. Thanks and good luck! This entry was posted in Feature stories, News & Updates and tagged mobility makeover, NMEDA, united spinal association, wheelchair van giveaway on August 16, 2017 by Tiffiny.